Posted on July 25, 2013 by Editor Posted in Hot Favorites	. CDC (Community Development Council) has initiated a new programme for the youth. The programme is named Imagine!. The programme is developed to encourage the youths to contribute to the society. The youths are persuaded to give back to the society by conducting significant community projects. CDC will allot S$500,000 every year to fund the youth’s projects or initiatives. Youths are thankful for this opportunity. The program has two funding models depending on the experience of the youth. 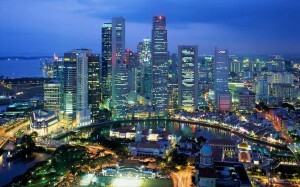 Those who are not that familiar with community issues will be given a total of up to S$2,000 per project. For youths that are familiar with community issues and wish to get on larger initiatives, they will be given a total of up to S$10,000 per project. Your youths should know that you are always there to support them no matter what happens. When youths know that they are supported all the time, they will be confident and strong. Whatever you learned in the past can be useful to your youths. You should impart your knowledge and wisdom so they will know what to expect and how to deal with things. You should also teach your youths values that will make a difference. Your youths will be thankful especially if they know you are joining their initiatives. You should do your best to inspire and motivate your youths to contribute to the society. You can for instance you can take part in brainstorming. Youths are said to be the future leaders. They should be empowered so when it is their time to lead Singapore, they have a strong foundation. Posted on July 22, 2013 by Editor Posted in Lifestyle	. A woman made a declaration recently. She wrote a book exposing something that shook the Catholics here in Singapore- Ms. Jane Leigh claimed that she was abused sexually by two Catholic priests when she was young. She is now 36 years old. The Archdiocese of Singapore is looking into this and encouraged Ms. Leigh to file a police report. Sexual abuse is widespread. It is not new but it is an issue that should be dealt with proper care. Opening past wounds is not easy but it is the necessary part of letting go and moving on. Survivors of sexual abuse experience assortment of intense feelings like anger, fear, shame and guilt. It is hard to talk about it but if the survivor knows that you are ready to listen and understand, they will trust you with their experiences. You don’t need to comment or something, just listen because it can make a big difference at the end of the day. You should suggest counselling. There are many experts that will deal with the situation systematically. It is important for survivors to identify into a group. Survivors need to know that they are not alone in that battle. They should hear other stories and how successful they are now. This is to inspire other survivors. No one deserves abuse. It should be prevented. The law is very strict about protecting children, women and other vulnerable groups against sexual, verbal and physical abuse. You should gather strength when you experience this. Posted on July 20, 2013 by Editor Posted in Hot Favorites	. Singaporeans were struck when they discovered that PSI reached 371. All people are hoping and praying that this haze condition will stop. But what if it continues to persist? This will be a big problem for all. If it will continue to persist, many people are worried that basic services will be disrupted. The government assures the public that basic services will not be disrupted. NEA (National Environment Agency) told the public not to worry because dengue inspections, public cleaning and waste collections will continue. If the haze worsens, they will execute contingency plans. For hospitals or polyclinics, the Health Minister guaranteed that these institutions have contingency plans. Triage System – This system will allow doctors and other health care professionals to watch out for vulnerable patients. 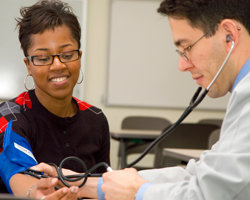 Vulnerable patients include those with chronic heart diseases and respiratory problems. Improved Waiting Areas – To provide relief from the haze, air conditioned waiting rooms are provided. Tele-Consulting – For follow up checkups, patients can now call for consultations that way they don’t need to travel and stay outdoors just to get through the hospital or clinics. 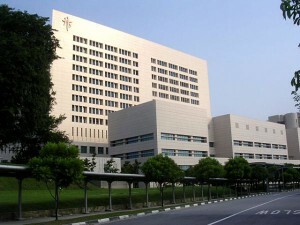 More Hospital Beds – Hospitals are planning to provide more beds for patients just in case the haze worsens. Subsidy – Subsidy is provided for vulnerable patients (like children and elderly). 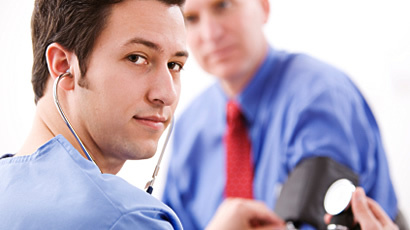 These patients can get a S$30 subsidy when they see an accredited general practitioner. The Minister said that for now, hospitals or polyclinics are managing the situation well. Hopefully the next few days will be better. Posted on July 17, 2013 by Editor Posted in Hot Favorites, Lifestyle	. LeVeL33 lies in Marina Boulevard. 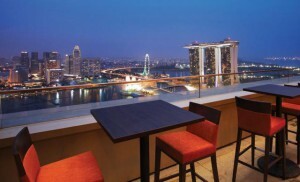 The bar will take you to the edge with its panoramic views and unparalleled dining experience. For beer fanatics, they are proud of their signature brews. For non-beer drinkers, there is wine selection. Sway with live music while enjoying your food and drink. The bar is open from 12pm to 2am daily. Prices start at S$40 onwards. Lantern is nestled in the rooftop of The Fullerton Bay Hotel. Upon entering, you will be drawn to their 25m pool. It will surely charm you with its tropical setting. If you want to witness the sunset, you are free to see it. They offer drinks, cocktail shots and foods. They are open from Sunday-Thursday (8am to 1am) and Friday-Saturday & Holidays (8am to 2am). Prices start at S$40 onwards. 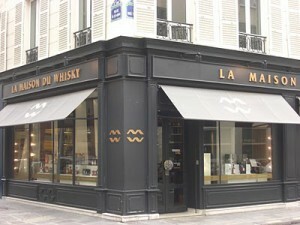 La Maison du Whisky lies in Mohamed Sultan Road. The store/bar offers a fine selection of Whiskies and other alcohol like Vodka, Tequila, Gin and many others. The store is open from 12noon to 12mindnight every Monday-Saturday. The bar is open from 6pm to 12midnight every Monday-Saturday. The bar also serves pizzas and other finger foods. Prices start at S$20 onwards. 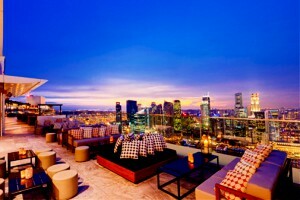 KU DE TA Club Lounge is nestled in SkyPark @ Marina Bay Sands. 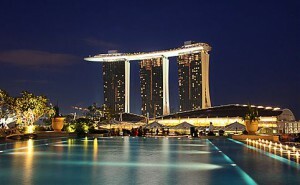 The club is considered as one of the hotspots in Singapore and the world. The club offers impressive entertainment with their panoramic views, live music, cocktail selections and food choices. You should check out The SkyBar (opens from 12pm to late daily), SkyDeck (opens from 11am to late daily), Club Lounge (opens from 6pm to late daily) and Restaurant (opens from 12pm-3pm and 6pm-11pm). Prices start at S$100 onwards. Looking for that special lair is easy. Good luck and have fun! Posted on July 14, 2013 by Editor Posted in Hot Favorites	. 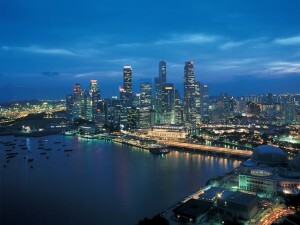 Exploring Singapore will take you days because the place has a lot to offer. But before anything else, it is important that you make necessary arrangements. You should book your hotel and your airplane ticket prior to your departure to avoid the rush and inconvenience. If you have time, you can plan your trips to local spots. You will disembark at Changi International Airport. This airport has three terminals. The airport is probably one of the most modern airports in the world with amenities like free internet connections and stations, outdoor swimming pool, sunflower garden, massages, span of restaurants, bars, shopping centres, boutiques and free cinemas. If you get stranded in this airport, you will surely enjoy every moment of it instead of getting upset for the delay. Getting around the island is easy especially if you have a tour guide but if you want to explore and discover the places by yourself, you just need a detailed map of Singapore. There is Mass Rapid Transport (MRT) that you can consider. The good news is that the main tourist attractions are within walking distance from the stations. You can avail of the Singapore Tourist Pass (costs S$8) which is unlimited travel on MRT for one day. You can also try taking a cab. If you are courteous, don’t expect other people to do the same. Sometimes Singaporeans will just return your greeting with a blank state. Don’t mind them. If you are lost, be prepared to ask for directions. Brace yourself if you meet a crowd because you need to fight your way through it. Posted on July 11, 2013 by Editor Posted in Hot Favorites	. Visitors need not worry about the safety of their kids because animals are safely kept and enclosed. If you don’t see anything that can deter animals from getting near you, don’t worry because there are barriers, moats and glasses hidden from plain sight. This is to maintain that naturalistic “open” idea. Aside from exhibits, you can also enjoy several rides like trams, boats, horse carriage, pony, wagons and many others. The zoo is committed to wildlife conservation with the help of research programs. There is Wildlife Healthcare & Research Centre that is doing its best to protect and conserve the wildlife. 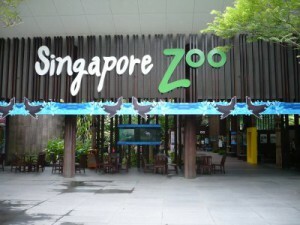 The zoo offers a lot of shows or activities for the family. There is this “Breakfast with an Orangutan” where a visitor can have a chance to meet, greet and interact with the Orangutans. “Rainforest Fights Back” is another show that showcases animals and performers. If you want to see the elephants, you can consider the “Elephants at Work and Play” show. There is “Splash Safari” where you can see seals, sea lions and pelicans execute tricks. For kids, there is “Animal Friends” that feature domesticated animals like dogs and parrots executing some tricks. Friends of the zoo is a loyalty program where visitors can sign up for a year pass with a lot of privileges.